One reason we love air plants so much is that they're so easy to care for - even if you have branded yourself with a black thumb! Keep reading to learn more. Succulents make a great centerpiece for any dinner party, especially these “pump-u-lents” in our Raleigh shop window. It’s that time of year for those of us in North Carolina when the days get shorter and the nights turn chilly. 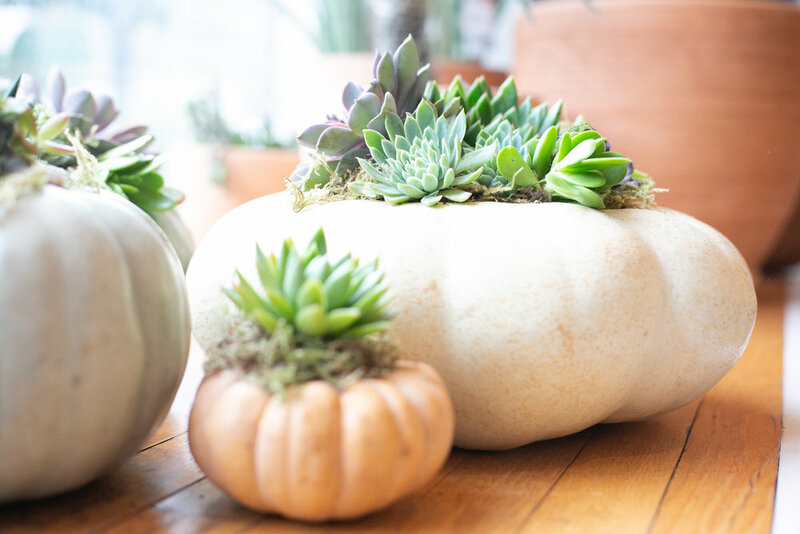 If you haven’t already, it is time to bring your succulents and tropical plants inside. Keep reading to find out how to keep them happy and thriving for the winter. Terrariums with a closed top are ideal for creating a humid environment for plants like ferns. Oh humidity. How our hair loathes you, but how our plants love you. Read on to find the happy medium in your home that will keep your plants and your hair content. In addition to plants, we also carry self-care products from Bell Mountain and other artisans to stock your bathroom with. Plants are the perfect accessory for any bathroom by adding pops of color and texture. Keep reading to learn about our favorite plants (that also thrive!) in a bathroom.